The lawn and the garden are two of the most attractive spaces of a house and they are the first areas a visitor sees when they visit your property. A lush lawn and an attractive garden will add beauty and will increase the property value of your home. Soil Tips: For a healthy lawn and garden, test and correct if needed your soil pH (acidity) level. You can repair soil pH problems by adding lime to increase the pH level or sulfur to decrease it. Most garden soils require a pH level between 5.0 and 7.0. Most lawns need a pH level between 6.0 to 7.0. Watering Tips: Cultivate the soil and remove weeds before watering. Cultivating the soil will improve soil structure by releasing nitrogen and reducing compaction. Cultivating helps water reach the roots more quickly and easily. Water your plants daily and your lawn 2 times per week when it’s hot. Water deeply to promote strong and healthy roots. The best time to water is in the morning between 7 and 8 a.m.
Fertilizing Tips: Fertilizing is very important for grass and plant health, and for reducing weeds in your garden. 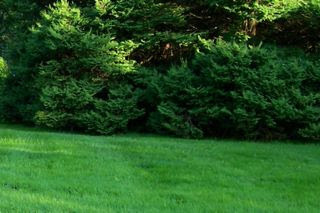 Fertilizers provide the nutrients needed for a healthy, thick, and lush lawn and garden. Fertilize your lawn between 2 to 4 times a year depending on the type of soil and grass you have. You should use environmentally safe natural or organic fertilizers. Mowing Tips: During the hot summer months, the best time to mow your lawn is in the morning or early evening when the weather is cooler. Your lawn needs full leaves to create food by photosynthesis. Lawns that are cut too short cannot make enough nutrients to be strong and healthy. Try to mow your lawn to a height of 2.5 to 3 inches. Mowing your lawn to this height will reduce weeds and pests, promote deep root development, and allow the soil to better retain its moisture. Sharpen your mower blade at least once a year or more to keep it sharp. Try to vary your mowing pattern each time you mow to allow the grass to grow upright. Over Seeding Tips: Repair bare spots on the lawn to avoid weeds. The best time of the year to over seed is in early fall or in early spring. Add seeds to the soil by pressing them down; do not bury the seeds. Keeping the seeds moist until germination occurs will give you the best chance of success. Mulching Tips: Stop raking and turn leaves into mulch with a mulching mower. 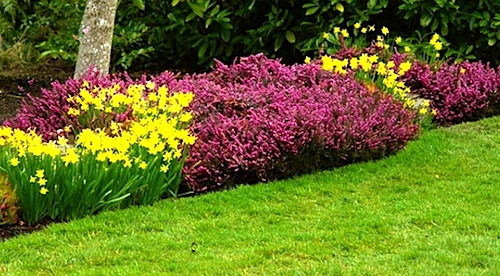 Use pesticide-free grass trimmings mulch for annual flowers and vegetable gardens. Use longer lasting mulch (bark chips) for perennials plants and shrubs. Weeding Tips: Weeds compete with a healthy lawn and plants for nutrients, water, and light. Weed your garden during the coolest part of the day. Remove the weeds with their roots system to prevent perennial weeds from re-growing. Remove the weeds when the soil is slightly wet and soft. Spray the weeds with an environmental friendly weed killer if needed. Pruning Tips: Pruning your plants regularly will prevent them from growing out of control. Prune your flowers, plants, trees, and shrubs during late winter or early spring. Prune your plants carefully with proper cuts to avoid harming them. 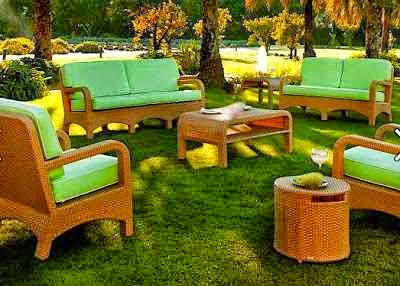 Lawn and garden maintenance is very important for enhancing your outdoor space. Follow the tips in this article and my other garden and landscape articles and your garden will look attractive, healthy, and beautiful.